The embassies are usually located near the capital and are diplomatic representatives of the government abroad. They facilitate contact amongst governments so political representatives don't have to move. The Consul will be the person who heads the Consulate. Sometimes functions as a delegation from the Embassy, where they collect the actions that are taken to the Embassy, along with other necessities. The premises of the embassy or diplomatic mission are kind of sacred. The host country authorities may not enter the premises without the consent on the head of the Embassy. Get in touch with the diplomatic staff in the numerous Embassies and Consulates in Valencia (City) and surroundings for any administrative or urgent matter you need. Contact us if there is any any of all Embassies and Consulates in Valencia (City) not know or have not included in our system. We have deeply investigated the official web sites of each and every country to deliver you the closest Consulates in Valencia you need to solve the efforts you've outstanding. Access to this section for a detailed listing of all Chinese consulates, embassies and representative offices located near Valencia. ConsulBy offers all Indian citizens with an updated and verified list of all Indian consular offices so they are able to contact them with any unexpected circumstance whilst in Valencia and its surroundings. 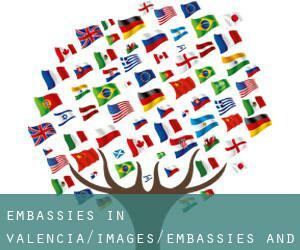 Have a look using this link a collection of all US embassies and consular offices placed around Valencia, just in case you will need assistance even though you're abroad. Check the Nigerian diplomatic mission in Valencia, responsible for providing assistance and help to any Nigerian person while they are visiting the country. Access to this section to get a detailed listing of all Russian consulates, embassies and representative offices located near Valencia. ConsulBy offers all German citizens with an updated and verified list of all German consular offices so they could contact them with any unexpected situation while in Valencia and its surroundings. Have a look using this link a collection of all French embassies and consular offices placed around Valencia, just in case you need assistance whilst you are abroad. Check the British diplomatic mission in Valencia, responsible for providing assistance and support to any British person even though they are visiting the country.